With all the heat and noise generated by the immigration debate, its surprising to learn that there has never been a wide-ranging parliamentary inquiry on the subject. Until today. The House of Lords Select Committee on Economic Affairs is not the highest profile body at Westminster. But it has dominated headlines by producing an in-depth analysis of what it calls "one of the biggest public policy issues in the UK". With a membership including two former chancellors, a former governor of the Bank of England and some eminent economists, its conclusions cannot be ignored. Something approaching conventional wisdom has suggested that immigration brings net benefits to the economy. Various pieces of research have tended to back up this thinking, but the Lords Committee robustly takes issue with that. 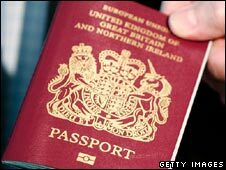 Ministers have argued that the recent wave of immigration has added £6bn per year to British economic output. The peers say that this is an "irrelevant and misleading measure". They argue that the total size of the economy is not the issue. A larger population will inevitably lead to a larger GDP, they point out. They say that what counts is annual income per head (GDP per capita) and specifically the per capita income of the resident population (i.e. excluding immigrants). On this basis, immigration has had very little impact on economic wellbeing. The peers also point out that the costs and benefits of immigration are unevenly spread. The report argues that there has been a "small negative impact on the lowest paid workers in the UK" - wages in this sector have been depressed because of migrant workers competing for jobs. The committee acknowledges that some higher income earners have benefited, the logic being that they have been freer to develop their skills and boost their earning potential. Opportunities for younger workers to learn skills may be impaired by immigration according to the report. This is because some employers may be more inclined to employ migrant workers with existing skills. On public finances the committee takes issue with the idea that immigration has been a net benefit because of tax contributions from workers. It says there is no evidence that migrant workers will help defuse the "pensions time bomb". It also suggests there are greater pressures on public services such as health and education. But after knocking down some well-rehearsed economic arguments on the pros of immigration, the committee does acknowledge there are winners apart from the incoming workers themselves. Shoppers, for example, have benefited from lower prices. Taxpayers will not complain about wages in public services being held down. The report notes the enthusiasm amongst employers for migrant workers. But it says the argument that immigrants are prepared to do jobs that locals won't do is "fundamentally flawed". It implies that if given the opportunity British workers could take up the slack. Leading employers groups such as the CBI and the Chambers of Commerce have rejected many of the Committee's findings. And the Prime Minister still believes in the benefits of economic migrants. But it is harder for them take issue with the economic credentials or political complexion of this group of peers. So the debate about the costs and benefits of immigration is likely to intensify as a key political battleground over the next few years.